Li participated in Horse Mania 2010 Lexington, KY Li and Herb Goodman, the Chair of the Art Department at Eastern Kentucky University, collaborated on this commissioned horse for Horse Mania 2010. Li did the painting and Herb did the woven work. Horse Mania 2010 was sponsored by Lex Arts, the proceeds of their auction of the artworks was distributed to 84 different charities. 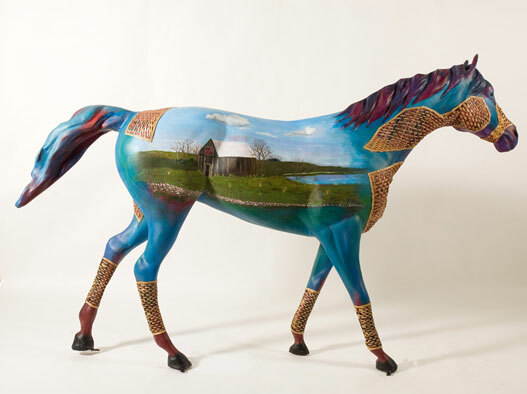 Lex Arts took compiled images of the artwork horses into a Collector’s Books. The image of Li signing a book was at a book signing for the Collector’s Book, in which patrons could get autographs beside the picture of the artist’s horse. Li Tyler was commissioned to paint the door for the Lexington Area Cultural Council’s Dynamic Doors: Portals to Creativity. Fifth Third Bank sponsored Lisa’s door. The doors used were removed from the Blue Grass Aspendale Housing Project, which had been torn down in Lexington, KY. The doors were on display in Lexington, Kentucky and later sold at auction to raise funds for the Aspendale Housing Project. The Aspendale Housing Project was created after World War I to both house veterans returning from war and to give work to construction workers. It was segregated housing, over the years it fell in terrible disrepair. The city of Lexington decided to tear it down and build residential homes. These are window panels that I painted for the Bluegrass Heritage Museum. The museum had Venetian blinds and storm windows, which were necessary for protecting artifacts in the room. However, Venetian blinds do not follow the period theme that the curator was trying to establish. Previous owners of the house were from Wilmore, Kentucky. 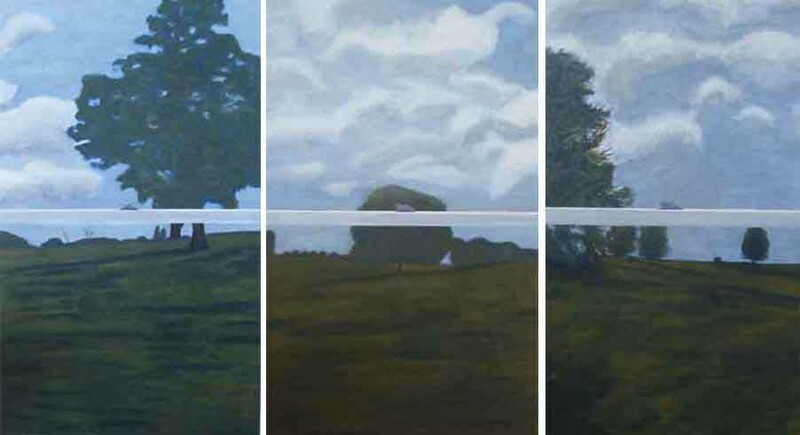 The curator wanted paintings based on a dusky, Wilmore, Kentucky landscape that might have existed during the early 1900’s, without the obstruction of roads or buildings that you might see today. 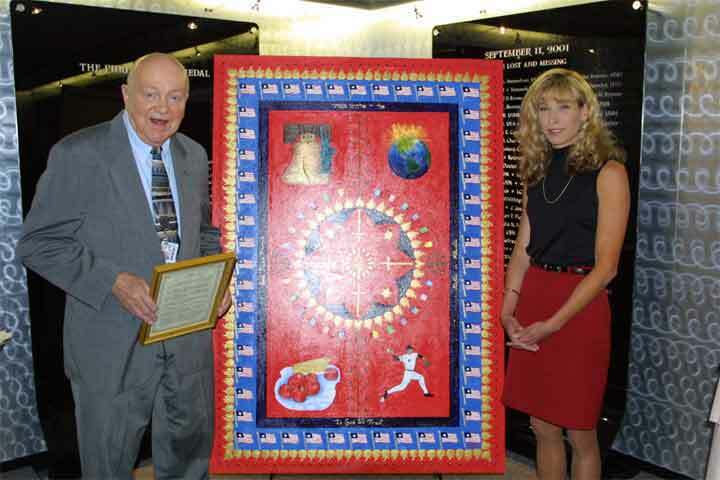 In response to the attacks on 9/11/2001 LI created a painting that was warmly received by the Pentagon as a part of their memorial.